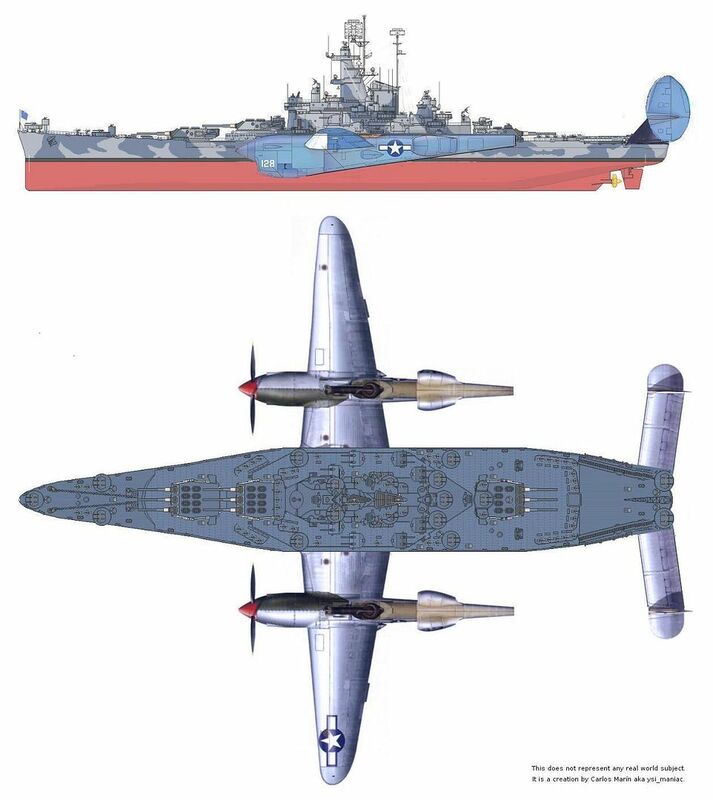 Norman Polmar's book on US Battleship design included a profile drawing of a proposed "assault ship" conversion of the Iowa-class with the aft turret and catapult replaced by a hangar deck, flight deck, et al. for helicopter assault. I'm thinking two of those and two FACES II conversions would make a formidable task force for landing over hostile beaches. Courageous and Glorious, due to their dubious combat power, are classed as Heavy Cruisers under the Washington Treaty and transfered to the RAN in 1922. The ships are renamed Australia and Canberra and serve in WWII following complete Renown style reconstructions in the late 30s. 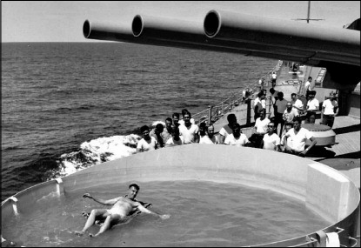 Something different: The 40mm anti-aircraft gun emplacements of the USS New Jersey had the guns removed, were sealed, and became swimming pools for the ship’s reactivation during the Vietnam War. 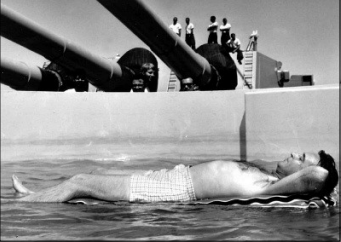 These are the only known swimming pools installed on an active US Navy ship. 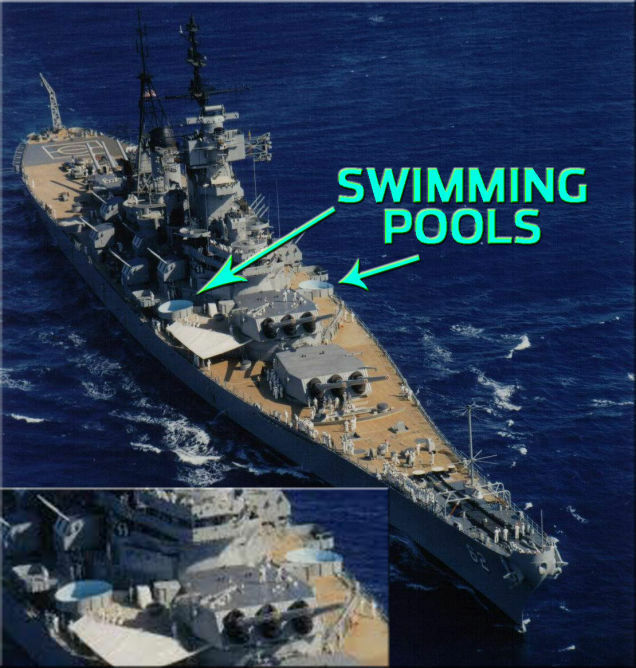 The pools were removed when the Iowa-class battleship was again activated in the 1980’s. Just imagine if a fire mission came in and someone was asleep floating in the pool. How about post Suez the decision was made to convert the King George V Class battleships into commando assault ships instead of converting Albion and Bulwark, which were instead, along with Centaur, fully modernised as per Hermes. Thinking surpressing Y turret or even moving it to B position to replace the twin (if it can be done) and building a raised flight deck with hanger and troop accommodation beneath. Former aircraft hangers used as accommodation briefing rooms etc. bost deck / catapult space converted for amphibious craft. 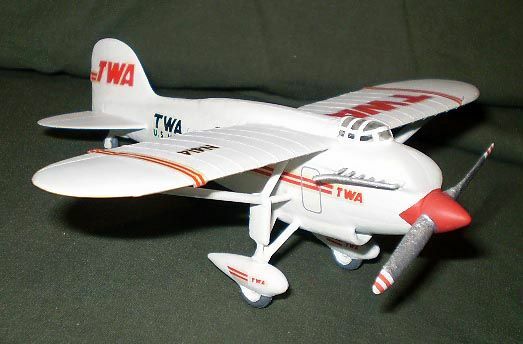 Maybe Tartar in place of some or all of the 5.25" mounts. I found first profile in the internet marked as HMS Barham. 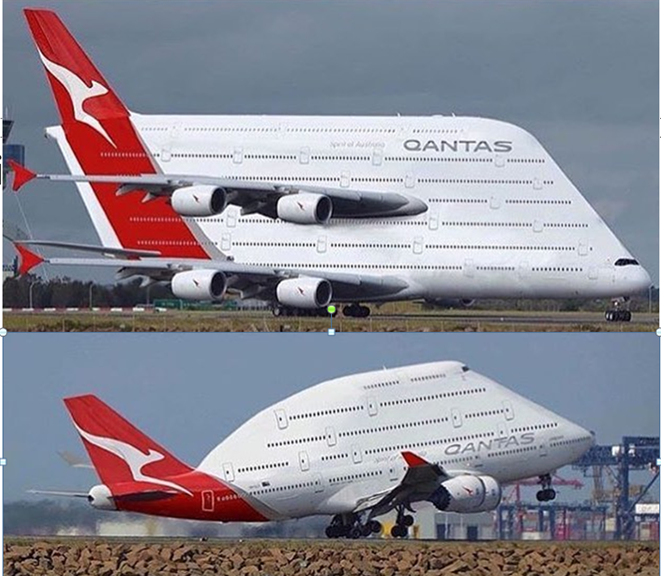 I think that its bow is fictional. Am I right? 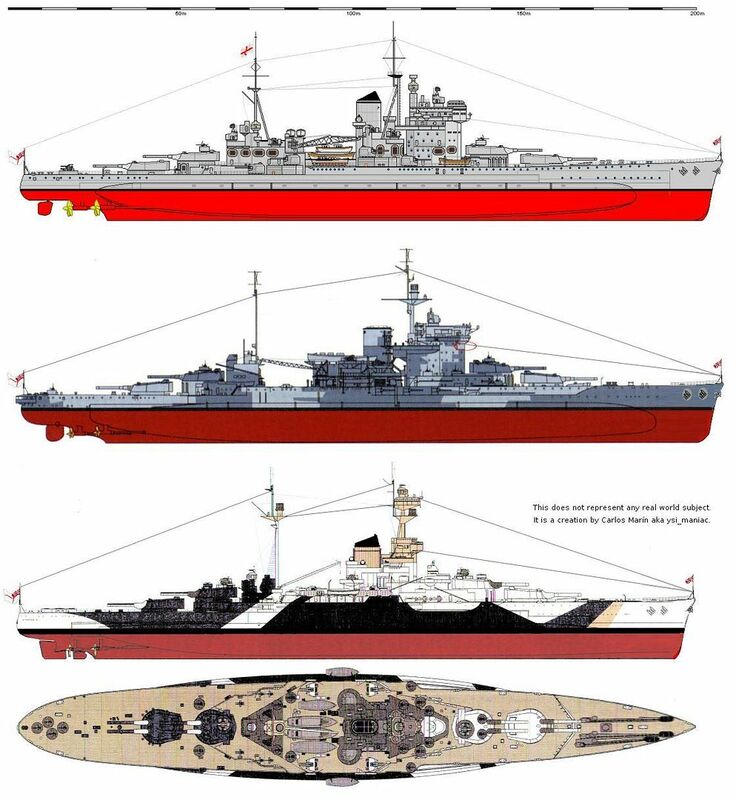 Anyway I like mentioned bow and grafted it in HMS Warspite and HMS Royal Sovereign. What if more ships went for the Nelson class "all forward" style main armament arrangement? 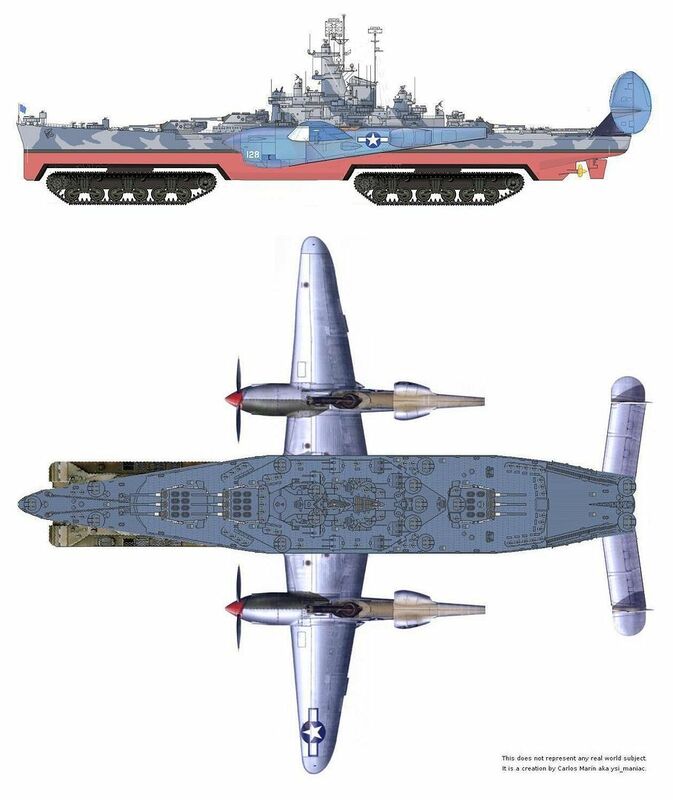 Imagine a Iowa or Yamato class in this arrangement. 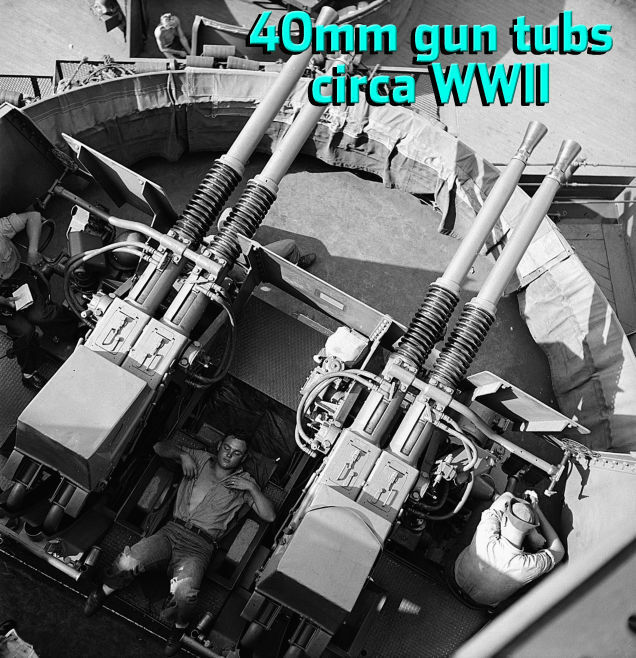 You may have seen pictures of the US Navy's heavy cruisers in the 1950s rocking 3-inch autoloaders in place of the Bofors mounts they were originally designed with. What's kind of less commonly known is that plans were made to perform the same upgrades on *all* surviving US warships during the 1950s, even the ones that were in mothballs with little chance of activation. In other words, there exist plans somewhere (I've seen a few of them online, but damn if I can find them again now) showing the intended installations for 3-inch twin mounts on the Iowa-class, South Dakota-class, and North Carolina-class; as well as the Alaska-class, Cleveland-class, Fargo-class, Atlanta/Oakland/Juneau-class, and all the modern destroyers. Of the larger ships, aside from the heavy cruisers only a single Cleveland (CL-83 USS Manchester) and the Juneau-class were actually upgraded. 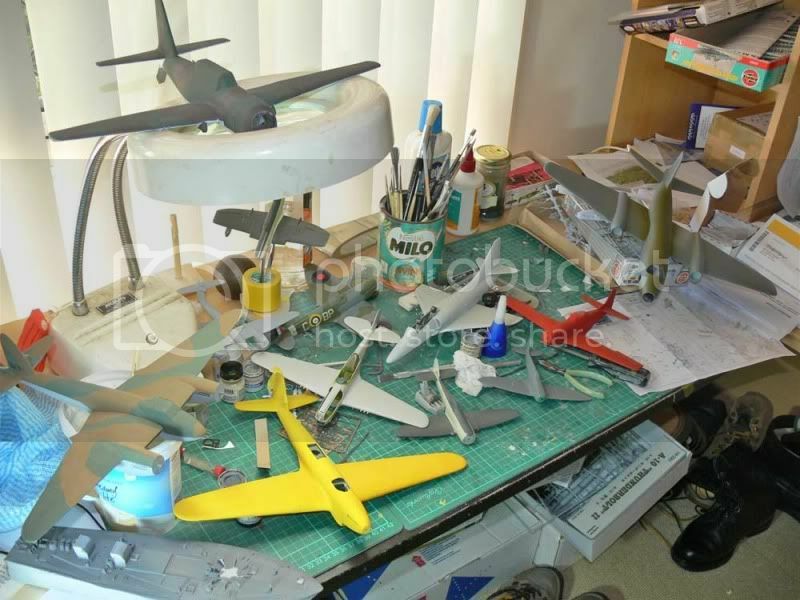 It would be rather lovely to see some of the others in plastic though. What if Ballistic Missile subs never got a look in (for what ever reason). 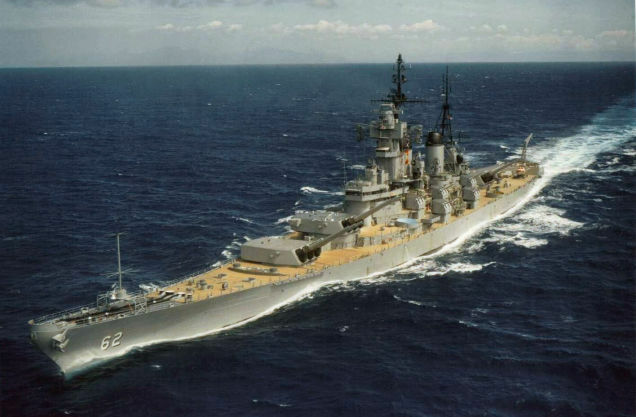 Could we possibly have seen battleships evolve into Ballistic Missile Ships? The USS Long Beach was designed to carry the Polaris missile amidships (in the vicinity of the port and starboard 5.0"/L38 turrets) but that was never implemented. There was also an Italian Cruiser that was planned to carry the same Polaris armament. So depending on where you put them, the Battleship could certainly accommodate a half dozen at the very least.